The Pa’rus trail follows the Virgin River up Zion Canyon. An enjoyable experience is to ride your bike to the Zion Lodge for a nice picnic under the giant cottonwood tree or to dine at the outdoor cafe located adjacent to Zion Lodge. Another popular option is to secure your bike on the Zion Canyon shuttle and let the shuttle climb the gradual uphill for you. Once the shuttle reaches the end of the road (Temple ofSinawava) unhitch your bike from the shuttle, then coast down the magnificent Zion Canyon. Along your bike ride you will see fantastic views, a hidden waterfall with hanging gardens, and other special points of interest outside of the designated shuttle stops. Ride your bike to hidden water falls and beautiful hanging gardens located in Zion National Park using the Pa'Rus trail. Road biking is possible, but extreme caution should be used as shoulders are narrow and traffic can be heavy at times. 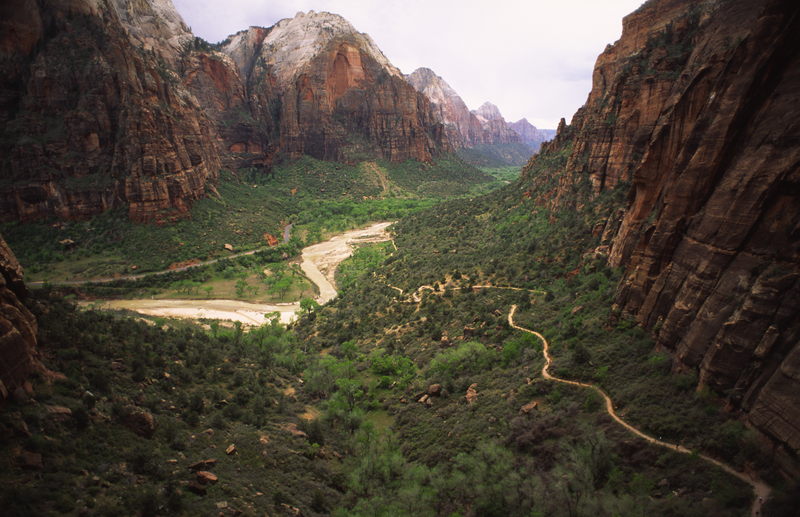 Zion Outfitter has gear and bike rentals for use in Zion National Park and the surrounding area. We are conveniently located in the Zion Canyon Village next to the walk-in entrance to Zion National Park. A quick search of "Zion Bike Rentals" will yield more results of local bike rental facilities further outside the park entrance.